The Mind-Body-Spirit Capital Campaign will add a gymnasium, two science classrooms, and one arts classroom to the NVS campus to improve and enhance student education. Mind: The NVS Mind–Body–Spirit Capital Campaign will build three classrooms – one for art and two for science – significantly increasing NVS classroom space and learning opportunities. 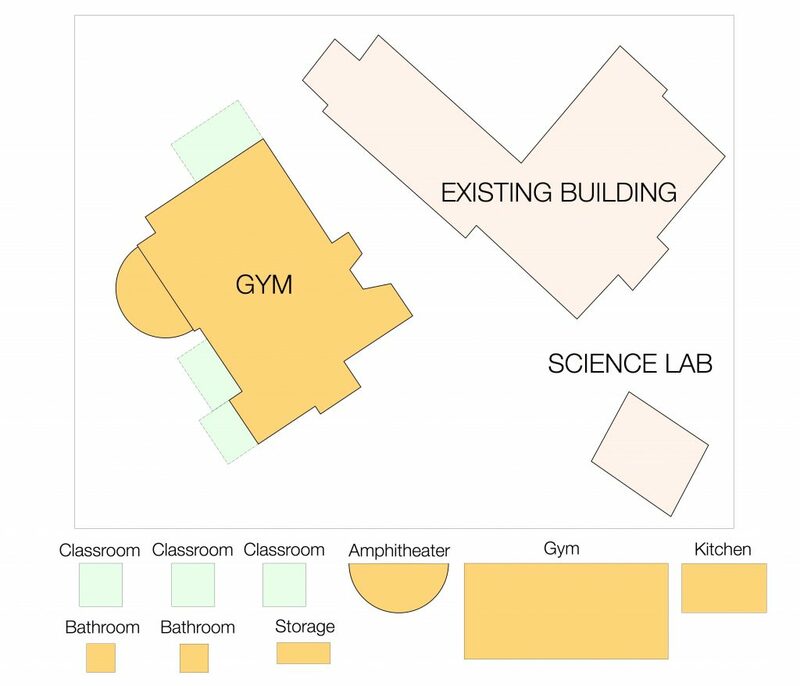 Body: The NVS Mind–Body–Spirit Capital Campaign will build a gymnasium on NVS’s campus, finally providing a dedicated space where NVS children can exercise, play, and learn about the physical, mental, and emotional benefits of team sports and daily exercise.. Spirit – The NVS Mind–Body–Spirit Campaign will further the school’s mission of preparing children with learning, attention, and social-emotional challenges for adult life in the “real” world by offering new and exciting tools (gymnasium, classrooms, and educational equipment) to help children become well-rounded, educated, productive citizens. On permanent Mind-Body-Spirit Capital Campaign Donor Wall inside the new NVS Gymnasium. Name and/or logo recognition for all Society and Club Level donors on the Mind-Body-Spirit Campaign page on the NVS website at newvistasschool.org and the NVS Facebook page. Verbal and signage recognition at the annual NVS Feast special event at the Feast for the year following the donor’s pledge and/or gift. The event is held annually in the Spring. Fostering academic and personal growth, NVS provides children with learning, attention, and emotional challenges an opportunity to reach their full potential.